Sigöldugljúfur canyon (sometimes referred as Walley of Tears) is one of the hidden gems in Iceland and if you are travelling to Landmannalaugar, you definitely shouldn´t miss it. One side of the canyon is made by Lekafossar waterfalls and it is somehow ignored by the wast majority by passers-by. That´s a pity and if you are already here, have a quick stop and enjoy the pure nature. There is an interesting contrast between the sides of the canyon when one of it is grey and barren and the other is green and full of life. For photographers is Sigöldugljúfur one of the must-go places in iceland. Sigöldugljúfur canyon is close to the F208 road heading to Landmannalaugar. It is advised to park the car at the small parking lot here (GPS: 64.160853, -19.157560) and from there on go for about 10 minutes to the canyon on foot. 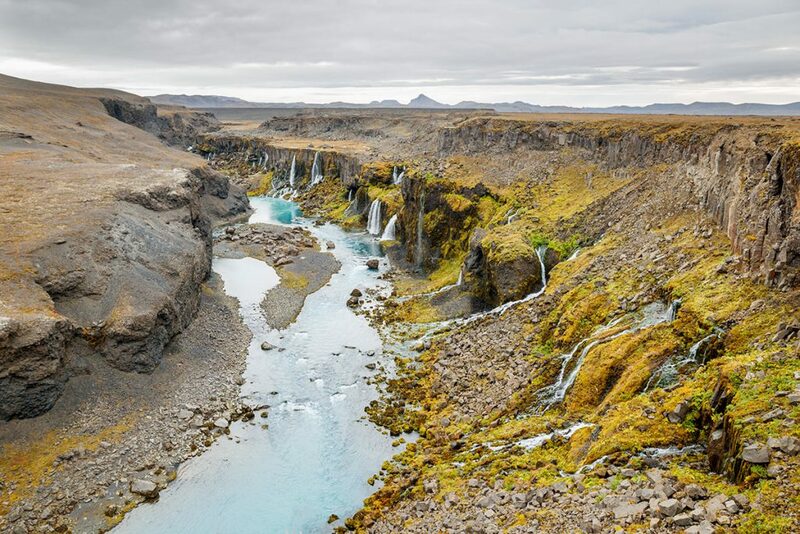 GPS coordinates of the Sigöldugljúfur canyon: 64.161075, -19.116890 Take me there!